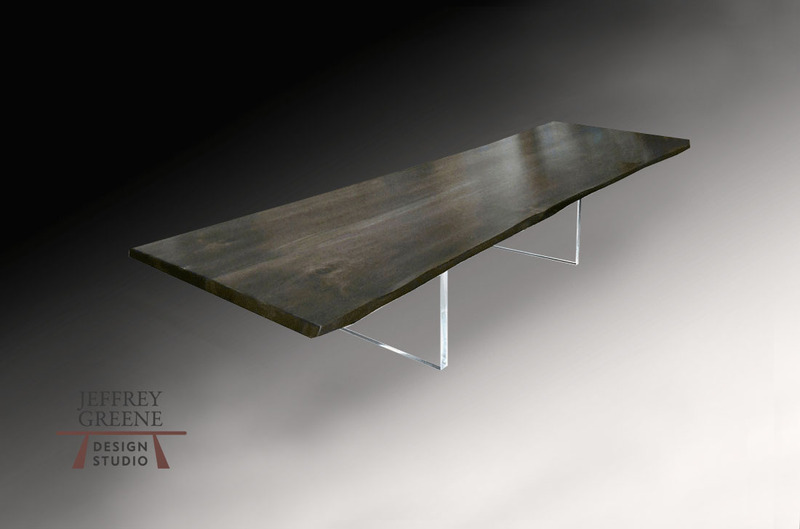 This Three Element Clear Plexiglass Live Edge Dining Table is a variation of the Plexiglass Base series. It adds sculptural interest to a modern classic. As with the pair of Plexiglass Board Legs, the base seemingly disappears and the Live Edge Wood Slab becomes the focus of attention in the room. The Clear Plexiglass is also surprisingly flexible and works wonderfully in many design aesthetics in addition to other furniture pieces.